The official inauguration of the Mahathir Award for Global Peace to be performed by Rt. Hon. Dato' Sri Mohd Najib bin Tun Haji Abdul Razak at the Putrajaya International Convention Centre, will shine a beacon of hope and bring to light the astounding perseverance, innovation, leadership and courage of individuals who have dedicated their efforts to peace. Peace is that elusive state of being when all the peoples of the world live without hunger, conflict or any kind of deprivation. Peace is that ideal environment that nurtures the evolution of the human mind to create and innovate. Peace is not the absence of violence but the presence of compassion, co-operation and co-existence. 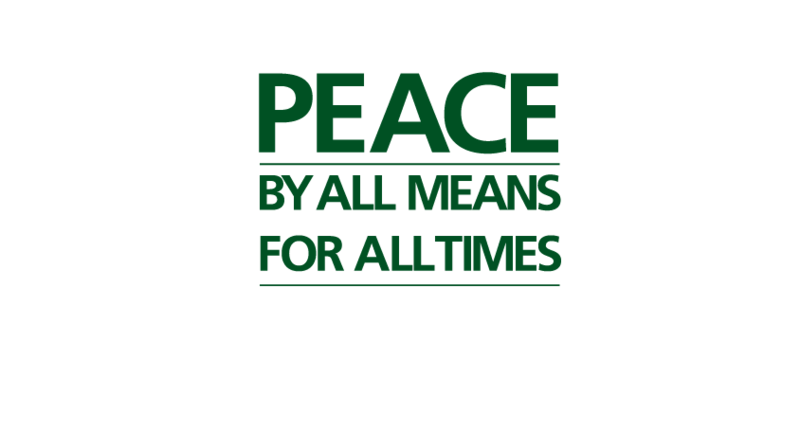 Peace is present where there is no fear because fear is the root cause of all acts of violence and hatred. Poverty contributes to raise tension and fear in the hearts of millions, especially the 3 billion individuals that comprise half of the world, who live in extremely poor conditions. Among them 1 billion are illiterate which means the hope that education can bring is denied to them. So long as millions suffer and wealth remains in the hands of a few there will be never be peace on earth.